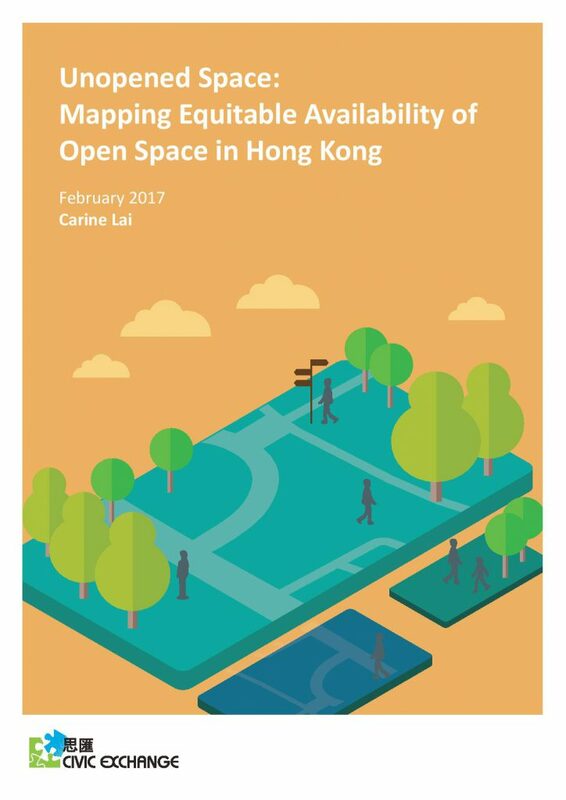 In February 2017, Civic Exchange published a report on availability of open space in Hong Kong. To download the report, click on the link above. Watch Carine Lai’s presentation of the report on 24 February, 2017. The current Hong Kong government standard of 2 m2 , which has not been updated for 15 years, is too low. That standard gives each resident, on average, open space about the size of a toilet cubicle. Hong Kong’s open space is unevenly distributed, meaning that many residents get less than the 2 m2 government standard. When Civic Exchange broke the data down into Outline Zoning Plan areas (or, more simply, local neighborhoods), we found that 1.84 million Hong Kongers live in OZPs with less than their promised 2 m2 of open space. 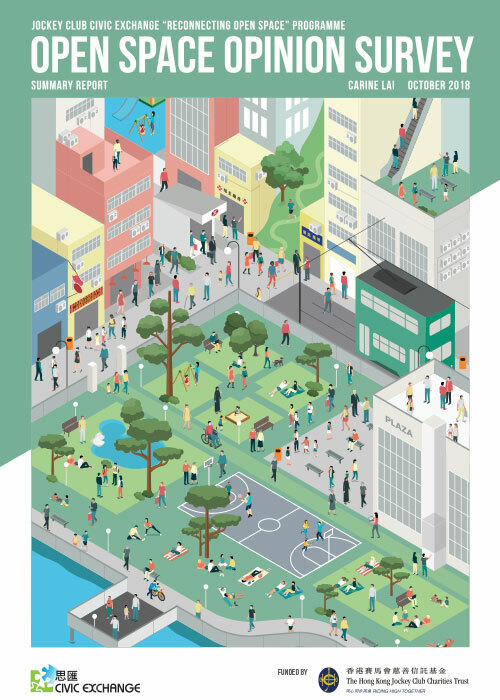 About 3.9 million people, or more than half the urban population, live in OZPs with less than 2.5 m2 of open space. There is a grey area between public and private “open space.” On top of controversial cases involving malls or residences (like Times Square in Causeway Bay, or Metro Harbour View in Kowloon), there is about four times as much private open space in large residential developments which is inaccessible to the public, but which is still counted towards the 2 m2 standard. Families in the Housing Authority’s public housing estates benefit from a decent amount of open space. The worst off are low-income residents outside the HA system, mostly in standalone buildings, in old and densely-built neighborhoods. The elderly are disproportionately affected. This situation is worst in areas like Cheung Sha Wan, Ma Tau Kok, and Causeway Bay.